Republican leaders in Congress are racing against the clock to pass a spending bill to fund the government. Democrats have said they will not vote in favor of any spending measure that does not extend DACA, the Deferred Action for Childhood Arrivals program, which has allowed children brought to the U.S. illegally by their parents to remain here. The program expires in March. Unless Congress is able to pass a spending bill and get it to the President's desk by midnight Friday, most government operations will be suspended. It's happened before, so we know how it would affect consumers. First, if you happen to be a "non-essential" federal employee, you'll be getting an unpaid vacation of undermined length. If you need the assistance from one of these "non-essential workers," you'll be out of luck. For example, people applying for or renewing a passport will have to wait until the government is back in operation before they can get their travel documents. The State Department employees who process passports will be among the federal workers who are furloughed. Because a potential shutdown comes at the beginning of tax season, it could complicate things for taxpayers who reach out to the Internal Revenue Service (IRS) for assistance. It could also delay processing of forms and returns should the shutdown extend for weeks rather than days. 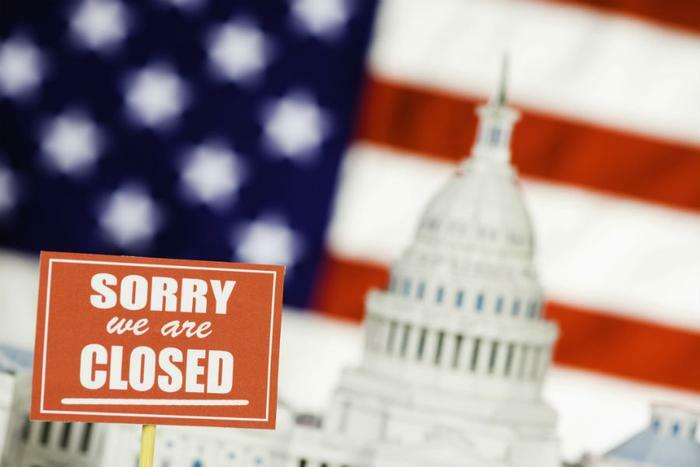 If you have just begun the mortgage application process, furloughed IRS employees could be a temporary impediment. Your mortgage can't be approved until the lender obtains your tax records from the IRS. A government shutdown does not affect all government operations, however. If you receive Social Security benefits, those payments will go out as scheduled. Medicare and Medicaid payments will also continue uninterrupted. But funding for the Children’s Health Insurance Program (CHIP) could be in jeopardy. The program covering children in families that can't qualify for Medicaid got a short-term infusion of money last month, but the funds are running out. It might seem like a small thing, but U.S. government websites would not get updated during a government shutdown. Consumers might have to look elsewhere for their daily weather information. There have been 18 government shutdowns over budget issues since 1976. Fortunately, most of them haven’t lasted very long. The longest shutdown lasted for three weeks, when President Clinton and the GOP Congress couldn't agree on tax cuts in December 1995.